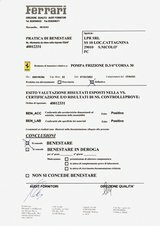 IATF 16949:2016 specifies the requirements of ISO 9001 for automotive production. 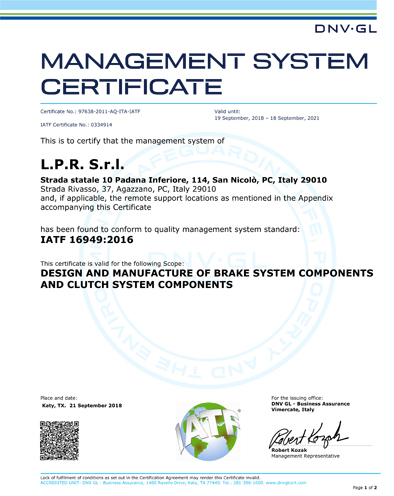 Born from the need for a globally harmonised quality management system requirements document, IATF 16949:2016 was developed by the International Automotive Task Force (IATF) and the ISO technical committee. 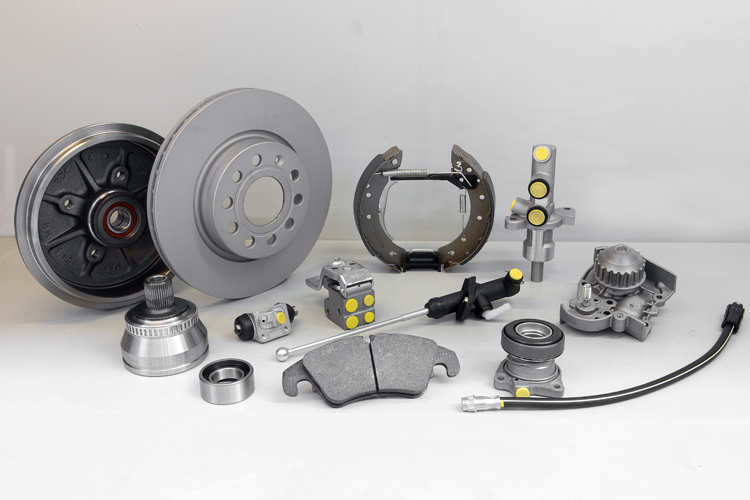 This technical specification combines all previous and published national automotive quality standards such as QS-9000, VDA 6.1, EAQF 94 and AVSQ. Obtaining the IATF 16949:2016 certification demonstrates that your company has met the quality management system requirements to create a process of continuous improvement with an emphasis on defect prevention and reduction of variation and waste in the supply chain. The technical specification is implemented for all branches of manufacturers and suppliers of products or production materials, services such as heat treatment or galvanising, and other products specified by automotive customers such as the constituent parts of vehicles. 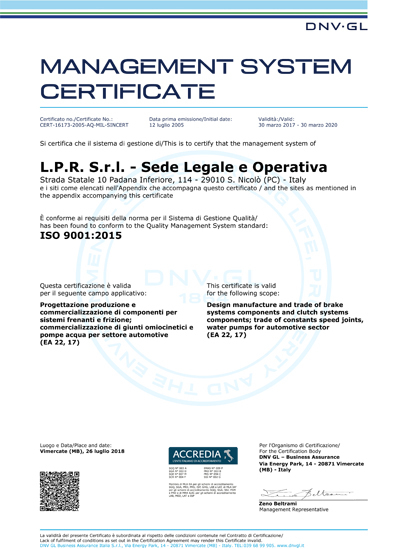 Certification to this technical specification is recognised by leading automotive manufacturers and OEMs. Most leading manufacturers will only work with companies that hold IATF 16949:2016 certification, as they insist that suppliers adhere to the strict technical specifications laid out in the standard. 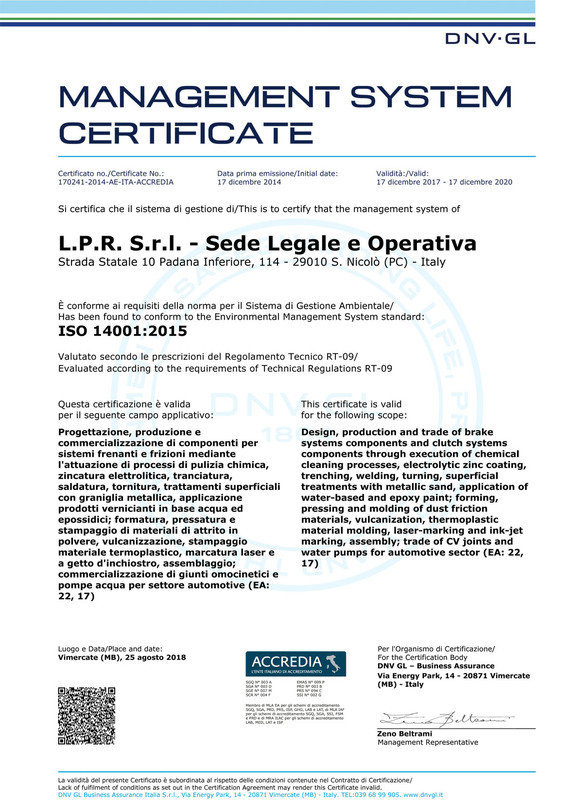 LPR is ISO 9001:2015 certified. 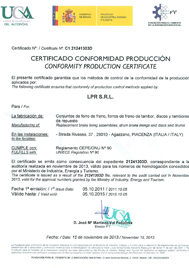 LPR is Ferrari spare parts certified since 2003.